The smartphone, however, is the most handy of them all as it can easily be held by the hand and kept in the pocket. Here then are some of the best smartphones any business should consider using. They’re great to own and ideal for business use. 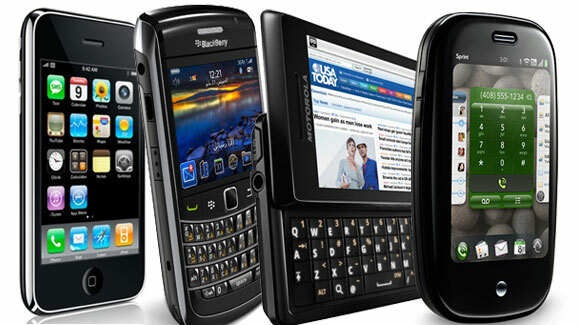 BlackBerry is well known for creating business handsets. But while Apple and Android may have overtaken this device, it has launched its latest Z30 line aimed at reclaiming its share of the business market. With its 5-inch touch screen, the device is considered more convenient to use as users get to see more information right away. The technical support provided is another great advantage. This latest Apple product that runs on iOS 7 offers support for SSL VPN and data protection APIs thereby allowing third party app developers to create secure solutions for users. The fingerprint scanner hidden under the homekey is just one of its excellent security features. The availability of numerous business-related apps on the App Store is another major advantage of this device. Operating on Windows 8, the Nokia Lumia 925 boasts of a metal chassis and slimer design making it easier to handle and keep in the pocket. It features a simple Live Tile display allowing users to easily access their messages, emails and call log. With a 4.5-inch display, the device has one of the largest screens in the Windows 8 lineup and allows easy viewing of documents and emails. Business professionals who prefer a larger and full HD display can count on the Samsung Galaxy Note 3 which has its own S-Pen stylus. The device is most suited as well for people who needs to draw as part of their job. Running multiple apps is not an issue with this device as a user can run two apps on the screen at the same time. Peter Bowman is a professional blogger that provides tips and information on franchise opportunities you should invest in. He writes for Franchise Expo, the place to find the best franchise opportunities available.